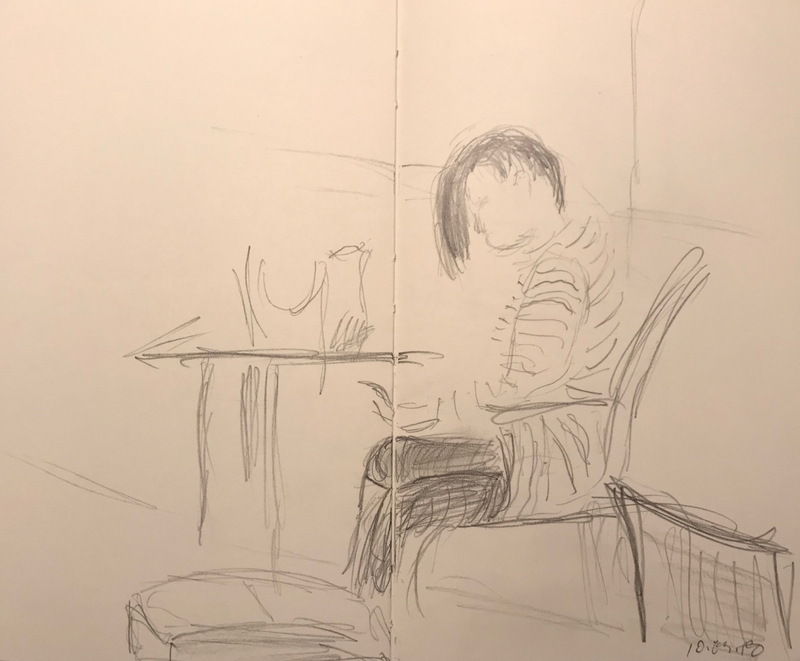 This entry was posted in Personal Stories and tagged art, artistic process, comfort, drawing, pencil sketch, portraiture, sketch, sketching, visual art, Waiting Room. Bookmark the permalink. I love this. You captured her posture and attitude perfectly and the hair is just – fantastic in all senses of the word.